devyd_froes 11 months, 4 weeks ago. Resurrection Remix Oreo for Moto Z Play is now available to download via an UNOFFICIAL version. 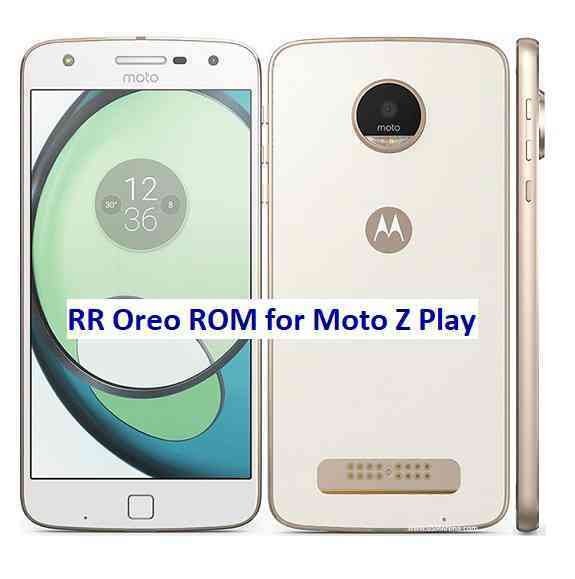 This RR Oreo for Moto Z Play (addison) is brought to you by developer DeHuMaNiZeD. Installing a custom ROM on a the Moto Z Play requires a custom recovery to be installed, which may VOID your warranty and may delete all your data. Before proceeding further you may consider backup all data on the phone. You are the only person making changes to your phone and I cannot be held responsible for the mistakes done by you. Download the Moto Z Play Android Oreo ROM zip file from the above download link and copy the files to phone. Flash the Moto Z Play RR Oreo ROM zip from device. Copy the latest ROM zip file of Resurrection Remix Oreo for Moto Z Play to your phone. Reboot to system after flashing is done completely. Do the required initial setup and enjoy the Android Oreo ROM for Moto Z Play. If you face any problem following this guide or post installation then just login and leave a comment to get an instant reply. Stay tuned or Subscribe to the Moto Z Play custom ROMs forum For other Android Oreo ROMs, Android Nougat ROMs, LineageOS ROMs, Resurrection Remix ROM, Omni ROM, AICP ROM, crDroid ROM, and all other device specific topics. Olá, Bom dia, muito bom o trabalho de vocês, eu baixei a rom e tentei fazer uma chamada com um fone Bluetooth, porem ele não vai para o Bluetooth, quando eu seleciono para funcionar no Bluetooth, ele simplesmente volta para a chamada para o mini fone ou o auto falante, podem corrigir esse erro?